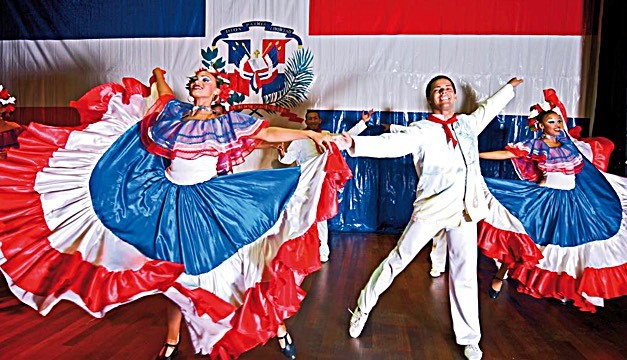 We’ve learned about the beginnings of Bachata, instruments typically used in the music, and how this type of dance has evolved over the years in the Domincan Republic and around the world. If you need a refresher, be sure to read Part 1! By the early 1990s, Bachata was further modernized and it was dominated by two new young stars: Luis Vargas and Anthony Santos. They were the first generation of pop bachata artists. Moreover, it was a time when bachata dominated internationally as a music of Hispanic dancehalls. Juan Luis Guerra’s Grammy-winning 1992 release, Bachata Rose, is frequently credited with making Bachata more acceptable, allowing Bachata to reach international recognition. Furthermore, by the start of the 21st century, the bachata group Aventura had taken bachata to the next level. Led by lead singer Anthony “Romeo” Santos, they revolutionized and modernized the genre. They sold out Madison Square Garden numerous times and released countless top ten hits on the hot Latin Charts including two #1 hits: “Por un Segundo” and “Dile al Amor”. Other big bachata artists include “Monchy y Alexandra” and Los Toros Band. Today, because of Bachata, fusion genres emerged. These fusion genres combined some of the rhythmic elements of Bachata music with elements of western music such as Hip-Hop, R&B, pop, techno and more. The hip-hop and R&B artist Drake in his music video “Hotline Bling” based his choreography off of Bachata dance. The knees should be slightly bent in order to sway the hips better. The movement of the hips is crucial to the overall dance style because it is considered the soul of the dance as a whole. Generally, most of the dancer’s movement originates in the lower body, up to the hips. There are few movements of the upper body. In partnering, the leader pushes and pulls the follower like the waves of the ocean push onto the shore and pulling back out to the sea. Bachata, today, is most commonly known by many as a very sensual dance. In Dominican culture, bachata dance is used to express one’s feeling towards his/her partner. It is believed by most that the more smoothly and frequently the hips are used and moved, the more feelings the individual has for the other. With that being said, three dances with the same individual, and that individual is your new significant other! Having an artistic outlet has been an integral part of how I’ve grown. I believe educators need to push students to find their own artistic outlets and empower them to step out of their comfort zone. My 3 pieces of advice on how to do this?